The previous round-up was written just as the final 9 were gathering for event # 34, the $1,000 No Limit Hold’em with Unlimited Rebuys. Daniel Negreanu took this literally by expending $48,000 on rebuys (yes, that is 48 of them!) and still failed to make the money. Good friend of UK Poker News, Tony G, had made it as short stack but all eyes in America were on Phil Hellmuth Jr. For the third time in the 2006 World Series of Poker, Hellmuth had made a final table in the quest for a 10th Gold Bracelet, which would equal the achievements of Doyle Brunson and Johnny Chan, an illustrious short list indeed. This time, however, Hellmuth arrived at the table with a substantial chip lead. For a player who swears by the maxim of never jeopardising his whole stack unless absolutely necessary, Hellmuth was hot favourite. Up against him however were some strong opponents. One of Europe’s best players, Juha Helppi from Finland, was one. Another was American David Plastik, not to mention Tony G. One double up would make the latter a dangerous opponent. Also aboard was Bracelet winner from Event # 26 ($1,500 Pot Limit Omaha), Ralph Perry. 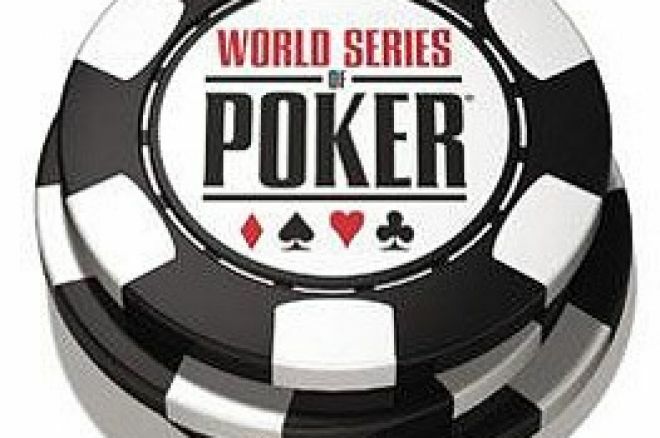 A high stakes cash player, Perry also took 15th place in the $50,000 WSOP H.O.R.S.E. tournament (Event # 20). No matter the opposition, it was to be! After one or two narrow squeaks at the river, Hellmuth defeated Helppi heads up. Bad luck on Juha Helppi who was one card from victory but congratulations must go to Phil Hellmuth who continues to demonstrate the skill he frequently admits to. 1. Phil Hellmuth (California, USA) - Winner of 10th Gold Bracelet and $631,863. Other notables: David Plastik 7th, Ralph Perry 8th, Tony G 9th. UK/Ireland cashes: Ross Boatman 26th ($11,701); Julian Gardner 27th ($11,701); Jonathan Gaskell 45th ($6,787); Patrik Selin 59th ($4,680). 1. Pat Poels (Arizona, USA) - Winner of Bracelet and $172,091. Other notables: John Juanda 24th, Cyndy Violette 31st, David Sklansky 32nd, Annie Duke 33rd. 1. Victoriano Perches (Nevada, USA) - Winner of Bracelet and $157,338. Other notables: Mike Caro 20th, Andy Bloch, 26th, John Phan 27th, Chris Moneymaker 28th. UK/Ireland cashes: Kevin Daly 22nd ($7,153); Iwan Jones 17th ($9,048); Christopher Howard 24th ($6,463); Thomas Dunwoodie 52nd ($7,153). 1. James Gorham (California, USA) - Winner of Bracelet and $765,226. UK/Ireland cashes: Jim Kerrigan 16th ($32,139); Luke Smith 19th ($20,661); Paul Rayner 30th ($11,478); Paul Westley 32nd ($11,478); John Reynolds 43rd ($9,183); Michael Sands 58th ($7,652); Tony Bloom 69th ($7,652); Julian Gardner 80th ($7,652); Jimmy Hunter 101st ($6,122); Jeff Burke 115th ($4,591); Mark Teltscher 123rd ($4,591); Iwan Jones 133rd ($4,591); Ian McDonald 16th ($3,443). 1. Daniel Alaei (Nevada, USA) - Winner of Bracelet and $430,698. 2. David Williams (Nevada, USA) - $256,091. Other notables: Men Nguyen 4th , Greg Raymer 5th, Allen Cunningham 6th. Many congratulations to Phil Hellmuth upon making Bracelet number 10. We also note the appearance of Greg “The Fossilman” Raymer and Chris Moneymaker amongst those cashing in recent WSOP tournaments. All of them are no doubt winding themselves up for the Big One! We look forward to seeing how it pans out. Stay tuned at UK Poker News. John Gale – WSOP Bracelet Holder – Reports From Las Vegas!